We have all your needs covered. We produces any kind of visual graphics created to display information to a particular audience. This is typically manifested in the form of finding information in places such streets or inside and outside of buildings. 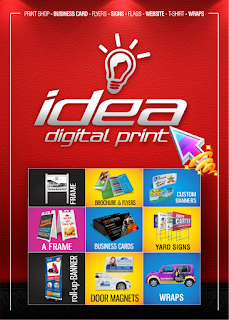 To us at IDEA DIGITAL PRINT, each project is unique and requires care and special attention, in this way we guarantee a service and personalized attention, offering a professional advice to each customer, placing the more new technology and quality in your hands so you can maximize your profitability. We are to integrate all processes: Art, Creativity and Printing. Our production staff will be happy to help you with your questions about our design and printing services.